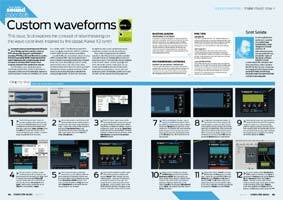 KarmaFX - Audio & Music Software - Virtual Instruments and Effects VST/AU for PC and Mac. 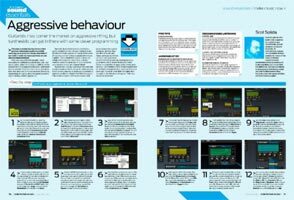 The March issue of Computer Music (page 55) takes a deep dive into Modular Synthesis, using KarmaFX Synth Modular for building a fully modular synthesizer patch in an easy to follow step-by-step tutorial. 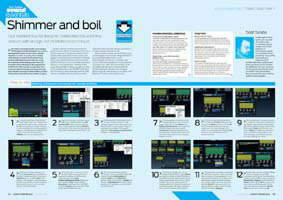 The primer is a good read, especially if you are new to modular synthesis. 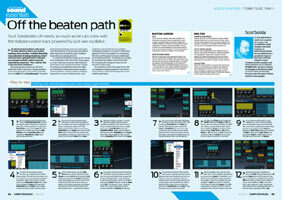 KarmaFX Synth also gets an honourable mention as one of the top picks in "Three of the best Modular Synths" (page 73). KarmaFX Synth Modular v1.17 released! KarmaFX Synth Modular v1.17 released. Synth now comes in a 32 bit and 64 bit version. Full install is required. Registered users will receive their download links by email ASAP. Until then, the previous RC1 download link will work just as well. On Mac, currently only one version (32 or 64 bit Audio Unit) can be installed at a time. The demo version, downloadable from the product page, is now also available in both 32 and 64 bit. KarmaFX Synth Modular 1.17 build 6045 changelog. Added 64 bit support to PC/Windows. Added 64 bit support to Mac/OSX. KarmaFX Synth Modular demo updated. Extended timeout. Coming soon: KarmaFX Synth Modular in 64 bit! KarmaFX Synth Modular will soon be out in a 64 bit version! All registered users have received an email with the release candidate download link for v1.17 RC1 build 6043. 32 bit and 64 bit installers are available for both PC and Mac. If you feel brave and want to take it for a spin in your favorite 64 bit or 32 bit host, please download and try it out. However, please note that this is not the final version. A stable, final version will (hopefully) be released very soon. Stay tuned! 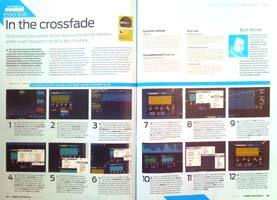 Update 08/06-2013: KarmaFX Synth 1.17 RC1 updated to build 6044 on Win32/64. Bugfix: Release DLL was missing manifest causing load to fail in several hosts. Summer is a great time! Time for relaxing and enjoying the nice, warm, sunny weather. But when you're done hanging out at the beach, all tanned and heading back to the studio, ready to make some great tunes, why not brush off the sand and enjoy a KarmaFX Synth Modular snack with a crunchy 35% summer discount? This is your chance to get KarmaFX Synth at a reduced price, and for a limited time only, starting right now! KarmaFX Synth Modular is a fully modular sound package for PC & Mac with lots of possibilities just waiting to be explored. It has a unique sound due to the high quality of the built-in modules and the internal high frequency, sample accurate modulation. Dive into advanced sound synthesis and roll your own sounds by connecting modules in creative ways, or simply use some of the many quality, pre-made patches. KarmaFX wishes everyone a great summer and a fantastic, productive holiday! Peace! and don't forget to spread the word! 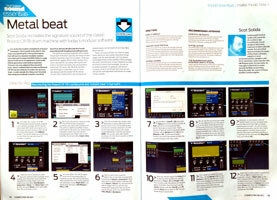 In the July issue of Computer Music, Scot Solida delves further into the wonders of the Roland CR-78 beatbox, recreating its bass drum, all using the modules in KarmaFX Synth Modular. 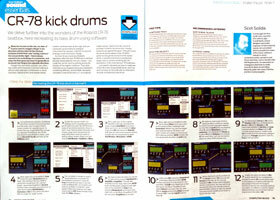 In the June issue of Computer Music, Scot Solida recreates the signature sounds of the classic Roland CR-78 drum machine, all using the modules in KarmaFX Synth Modular. Some of the best traditions happen this time of year. And just like the previous years, KarmaFX wants to celebrate the holiday season by having a 35% off sale on KarmaFX Synth Modular, starting today 12/12/2012! So, if you have been wanting to break out of the fixed-path-synthesizer cage, and plunge into modular awesomeness, now is your chance! For a limited time only. Sale ends in 30 days. For a quick introduction to the synth and its many features, check out this video. KarmaFX Synth Modular has a unique sound due to the high quality of the built-in modules and the internal high frequency, sample accurate modulation. Roll your own sounds by connecting modules in creative ways, or simply use some of the many quality, pre-made patches. KarmaFX wishes everyone a merry X-mas, a happy holiday and a magical new year! EDIT: 01/12/2013: Sale has ended. KarmaFX Synth Modular v1.16 has been updated to build 6033. 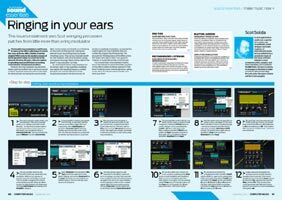 Only Mac users of Presonus Studio One 2 will need to upgrade. As this is a minor update, there is no version change. KarmaFX Synth Modular 1.16 build 6033 changelog. Nice sounds and arrangement guys. Thanks so much for posting it! A new KarmaFX Synth Modular Introductory Video is now available on Youtube. The video gives a brief introduction to the synth and some of its many modules. Please follow and Like us on Facebook, and find more KarmaFX videos on our Youtube channel. The awesome KarmaFX Synth-made music in the video was done by BluffMunkey. Summer is finally here! Time to relax, enjoy the sunny warm weather, do some roller scating, play some ping pong, and all the other things you do in your summer holiday. But in all this excitement, don't forget to feed your ears with some new quality sounds, when kicking back in the studio during those warm, cozy summer evenings. For that reason, KarmaFX wants to celebrate the holiday by cutting 35% off the price of the awesome, award winning KarmaFX Synth Modular! KarmaFX Synth Modular has a unique sound due to the high quality of the built-in modules and the internal high frequency, sample accurate modulation. Roll your own sounds by connecting modules in creative ways, or simply use some of the many quality, pre-made patches. For a limited time only, so get it while it's hot! Sale ends September 1st. EDIT: 09/01/2012: Summer Sale has ended. BluffMunkey, a talented Sound designer, Producer and Remixer from UK, has generously shared his track "Mysteria". Done almost exclusively with KarmaFX Synth Modular! 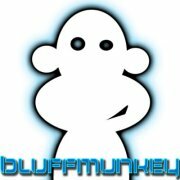 Check it out below and listen to more stuff from BluffMunkey on SoundCloud. 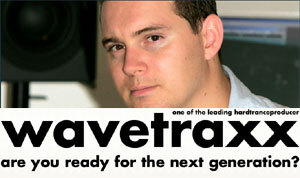 Wavetraxx alias Chris Menzi, latest track "Alternativ" features KarmaFX Synth! According to Chris, KarmaFX Synth is used for the ARP Element in the break, and some rhythmic sounds in the intro/endingpart. Check it out below! © 2019 KarmaFX. All Rights Reserved. KarmaFX and the KarmaFX logo is a registered trademark ® of KarmaFX. 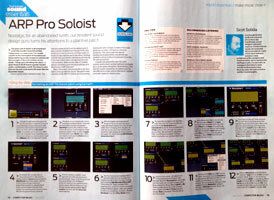 VST Plug-In Technology by Steinberg. VST is a trademark	of Steinberg Soft- und Hardware	GmbH. The Audio Units logo is a trademark of Apple Computer, Inc.